If you are planning to launch your own website, the biggest choice that you’ll have to make is to decide the hosting platform. Be it for a website or for a blog, WordPress is definitely the first choice. And today when there are so many WordPress resources sites like PHPMatters, with which you can learn the details of this CMS, hosting your own WordPress site is really easy. 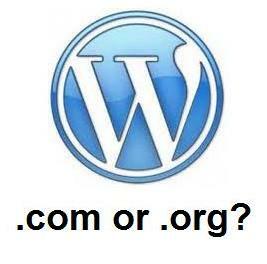 All you have to decide is whether to go with WordPress.com or WordPress.org. WorldPress.com is the free blogging platform created by the founders of WordPress software. Anyone and everyone can host their blog here for free. While the no cost tag is the biggest plus point for .com domain, the negative point is the many limitations it puts on you. While you’ll have to pay for any theme or plugin that you want to add to your blog, this domain do not let you place advertisements on your site. Thus if you are planning to monetise your blog, WorePress.com will pose a serious problem. 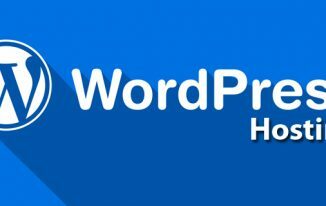 WordPress.org is a self hosted domain. This means you’ll have to pay to WordPress to host your blog in this domain. So, you’ll have to pay to use the service here, true; but by paying for it you’ll also get total control over your site. You can choose your own domain name, use any theme that you want, add number of plugins to boost performance and so on. As it is a self hosted domain, you’ll be responsible for the maintenance of your blog, and that also means you can put any advertisement in you blog. So, if you are thinking about monetising your blog, this can be the best domain for you. 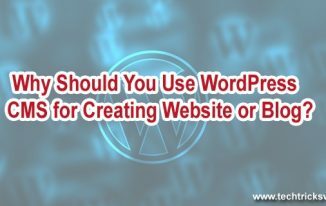 While the ‘no cost’ tag of WordPress.com may seem attractive to the beginner, if you want to take up blogging seriously then WordPress.org should be your choice of blog. You want your blog to look like a proper website that offers sincere information, right? A domain name that looks like www.mydomain.wordpress.com does not do much to portray that. At the best it spells novice for anyone who visit your blog. But this is what the .com domain offers you. On the other hand by going with the .org platform you’ll be able to create your own domain name and your website address will look like www.mydomain.com. You know the difference here! Who does not want his website to look great? Themes are the designing templates that give your website a unique look. But with the .com hosting you’ll have to choose from a limited number of free themes available. Also the .com domain does not let you do any changes or modifications in the free themes. But you can of course shell out some extra buck and buy a premium theme for WordPress here. On the other hand WordPress.org let you have full access to a vast number of WordPress themes. Moreover you can modify and customise those themes according to your choice. You can also download any free or premium theme from internet according to your liking and install here. Who does not need plug-ins? Plug-ins help you in so many ways to improve the experience of your visitors, also provide various features to make your blogging journey smooth. But WordPress.com being a free hosting domain, does not allow you to install any plug-ins. On the other hand the .org domain let you access thousands of free plug-ins from WordPress alone and you can add any other one of your choice too. Well if you are blogging for just fun, you can skip this reason here. But since you are reading this, I guess you are a serious blogger and money is important to you. The most binding factor in .com domain is you cannot make money by putting up advertisement on your blog. Only after your site reach a significant number of visitors, you can apply for ‘WordAds’ and in case you get any advertisement, the revenue will be divide at 50/50 between you and WordPress. But on the other hand the .org domain being a self hosted one, you can put up any advertisement you want on your site and make money out of it. While the .com domain may look tempting with its ‘free’ tag plastered on it, but it has a lot of hidden charges as you can see. You’ll ultimately have to shell out good amount of money to create an attractive blog. 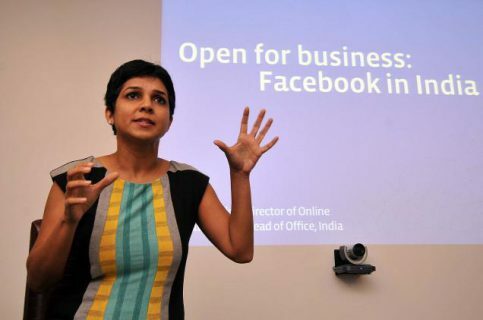 But in case of .org there are no such charges involved. If you are blogging as a hobby or just for fun, WordPress.com may be enough for you, but in case you are looking at creating a revenue generating blog then WordPress.org has to be your choice. In case you want to know more about the two, you can also have a look at this WordPress.org vs WordPress.com comparison. What do you think about both the domains? Are you using the .com or .org hosting? Do let us know your take on this. Why ZhuJi91 Is the Best Hong Kong Linux Hosting Provider? Lots of good points here. A beginner to WordPress probably has no idea what a plugin is or why he/she might want one. But here’s a plugin example: how do you make a backup of your WordPress.com site automatically and schedule these backups to go to a remote location for safe storage? There are many backup options on self-hosted WordPress. By the way, you can have your own domain on WordPress.com. But you have to pay extra for that. It’s not a bad idea for someone who has never blogged before. Later, when they realize how to set up a business, they can move the site to web hosting with self-hosted WordPress and transfer the domain to that new site. Yeah, I agree with you. I too prefer WordPress.org over WordPress.com. With the help of plugins you can take WP CMS to the next level. Also with WP.org we can customize any part of the CMS. That was an informative post with all the necessary informationneeded to get the decision done for wordpress.org. Thought there are so many benefits of wordpress.org usually newbies don’t get to know more of them and get trapped in wordpress.com or blogger.com. Blogger is thousands times better than wordpress.com if we see in a way. I totally agree with you,a self hosted WordPress blog has more advantages than a free wordpress.com blog.In a self hosted wordpress blog you have control over you website and content as well. What an informative post on WordPress.org vs WordPress.com. Lot’s of people out there are confused about what to used and which is better. Thanks for stopping by on this post. Yes, self-hosted is the best because you have more control on your blog with flexibility. An recently posted…Become domain Reseller club : Get .com only $9.99 ! Thank You So Much for clearing my confusion! I always follow you website!